Reports of “treat and repair” of cardiac shunting lesions with inoperably high pulmonary vascular resistance (PVR) mostly concern pre-tricuspid defects; post-tricuspid lesions are different. We report our experience with pulmonary artery (PA) banding ± targeted pulmonary hypertension medications in five patients with a large VSD and inoperably high PVR, and review previous reports of PA banding with post-tricuspid defects. Three of our 5 patients had mean PAP > 50 mmHg after banding and no or only a transient fall in PVR. Two patients had mean PAP < 50 mmHg and lower PVR after banding; they had closure of their VSDs but have since had a progressive increase in PVR (follow-up after closure, 3.5 and 7.7 years). Previous reports have also documented difficulty in achieving sufficient band gradient. Of previously reported patients, only one became operable only after banding and targeted therapy, and was repaired; follow-up after repair was short-term (16 months). Our and previous experience demonstrate the difficulty in placing a PA band sufficiently tight to substantially reduce PA pressure. Reported attempts to “treat and repair” post-tricuspid defects are few and have met with limited success, and we found that PVR may increase significantly over time after repair. But more information is needed. Accurate interpretation of experience with “treat and repair” requires: careful characterization of the pulmonary circulation prior to “treating”; considering spontaneously reversible factors at pre-treatment catheterization before ascribing reduction in PVR to medical therapy; and long-term observation of PVR in patients who have had defect closure. We acknowledge the expert assistance of Lynne Patkin, MBA, in aiding with preparation of this manuscript. T.J. Kulik, J.E. McSweeney, J. Tella, and M.P. Mullen declare that they have no conflict of interest. All procedures performed in studies involving human participants were in accordance with the ethical standards of the institutional research committee and with the 1964 Helsinki declaration and its later amendments or comparable ethical standards. 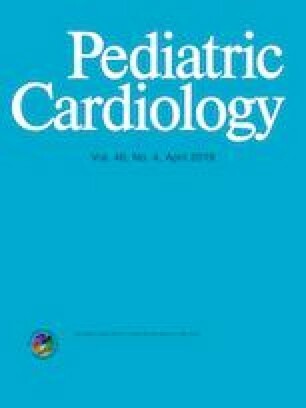 This limited case-series study meets criteria for waver by the Institutional Review Board of Boston Children’s Hospital.